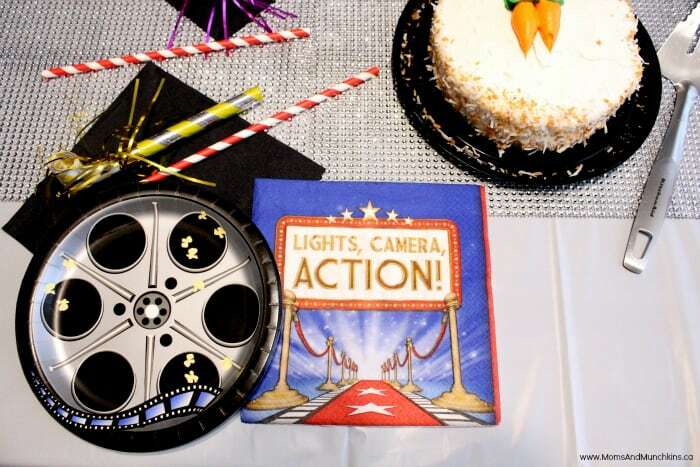 I’m excited to share some Movie Night Party photos with you from a project I did with Birthday In A Box. I’ll share all the party photos with you here but you’ll want to pop over to their site to find all the clever party ideas, games and more! 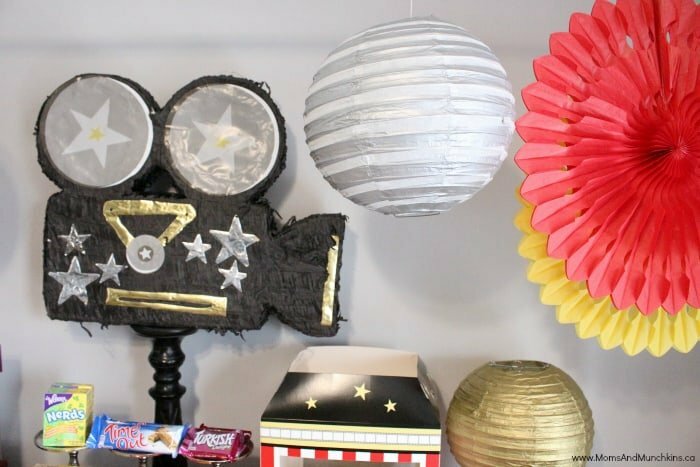 Over on Birthday in a Box, you’ll find plenty of supplies to help decorate your party like a movie camera piñata, popcorn bags, paper fans and more! I used glitter fabric from my local fabric store as a tablecloth and set the scene with some gold, silver, red and yellow paper lanterns and fans. 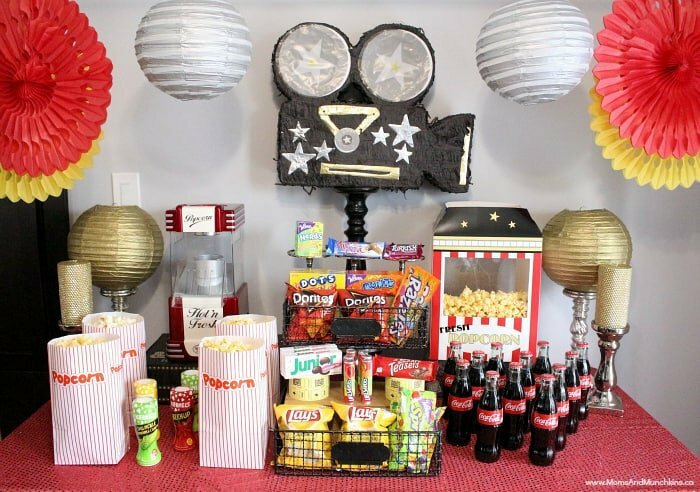 A movie night party wouldn’t be complete without a concession stand! 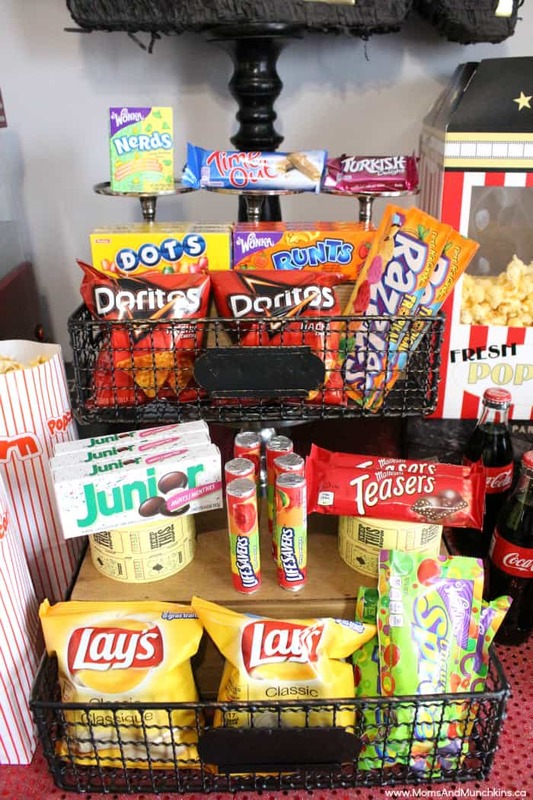 To fill this concession stand, I went to a local specialty candy store to find some unique treats for the guests to try along with some movie night party favorites like popcorn, soda and more. 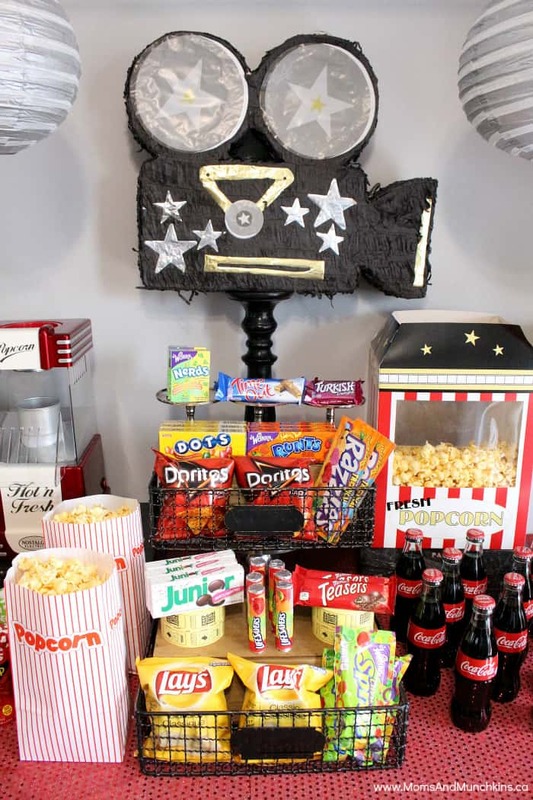 You can set up your own display of concession stand items using boxes or baskets you have around the house. Don’t forget butter and salt for the popcorn. Yum! 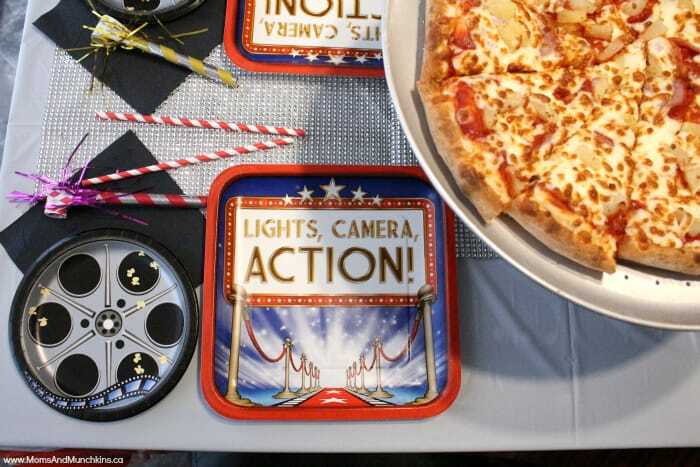 For a party that runs over dinner, another fun idea is to have a little pizza party complete with a red carpet entrance, stars on the Walk of Fame and cute movie-themed tableware. 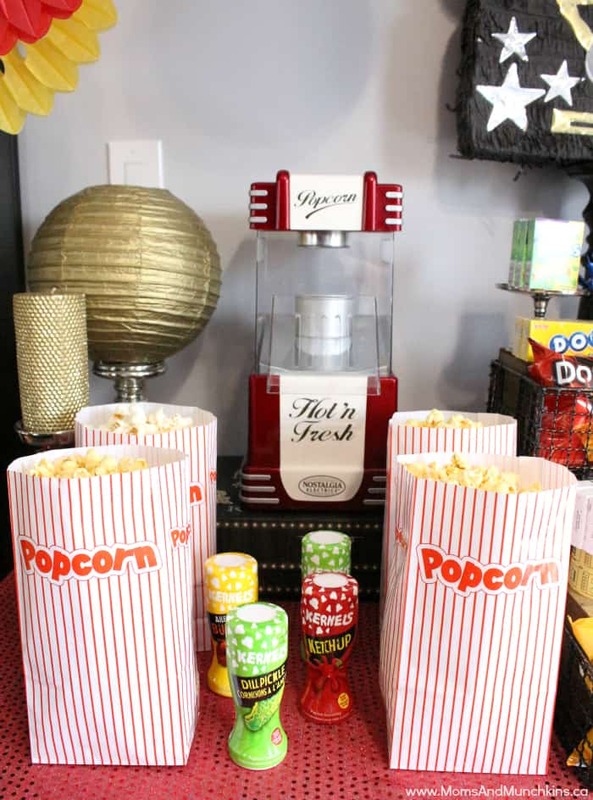 Party favors could include cartoons, specialty popcorn or popcorn salts, concession stand candy, a personalized popcorn bowl or other movie-themed treats. 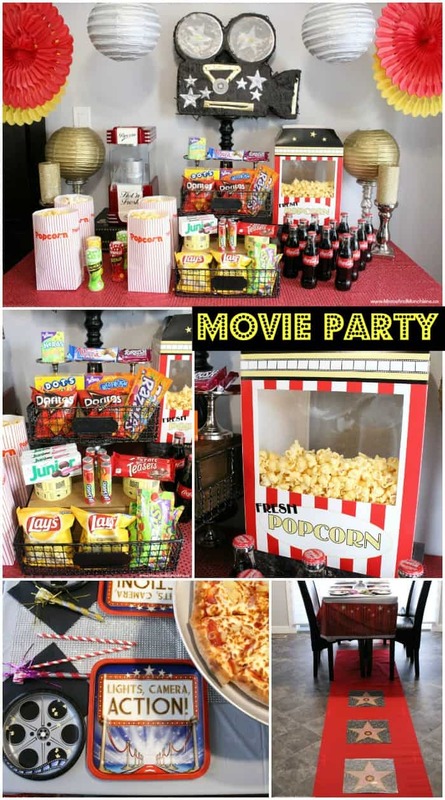 Then of course you’ll want to set the scene for watching a movie. 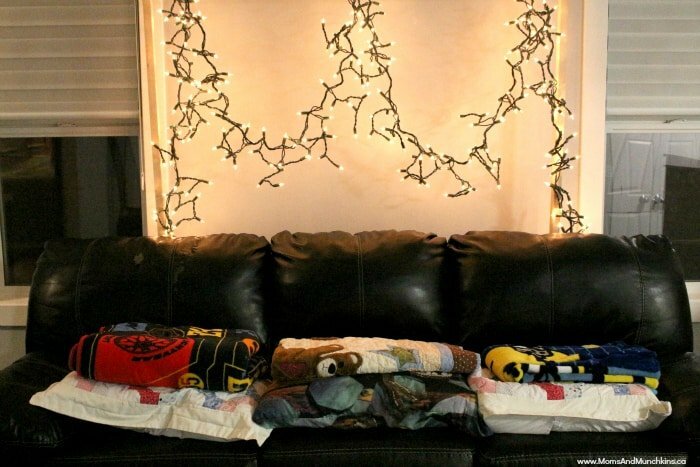 Some old holiday lights, extra blankets and pillows can help your guests get comfortable for the special movie screening. 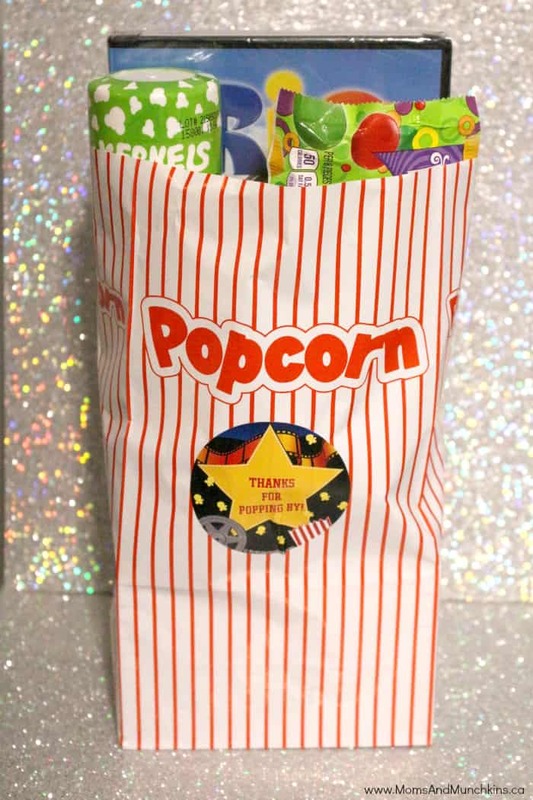 I hope your movie night party is filled with laughter & plenty of popcorn! 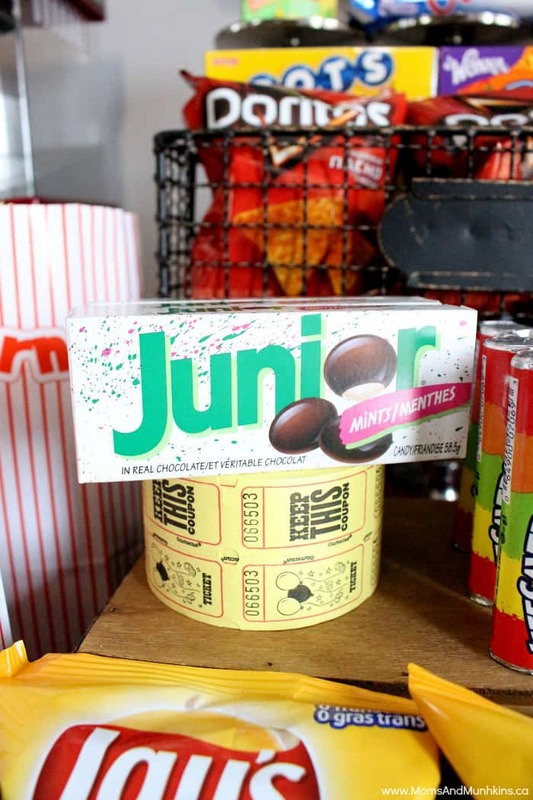 Remember to visit Birthday in a Box for more fun ideas including all of the creative party supplies! *Disclosure: I was compensated for this post & I am a Birthday in a Box affiliate; however, all opinions expressed here are my own. This is such a great setup!! 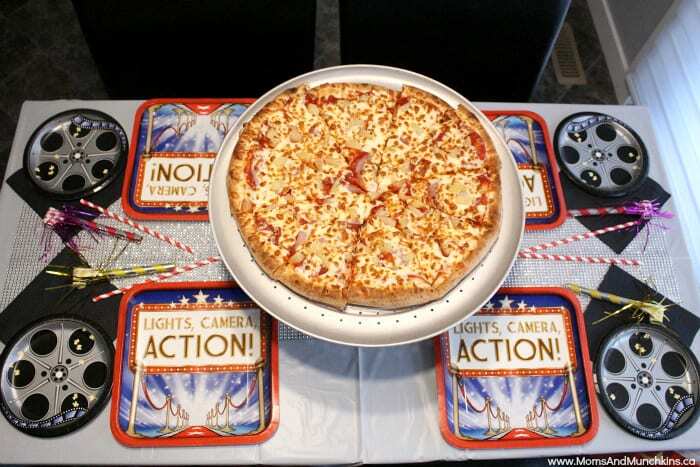 Just perfect for a movie night extravaganza! Thank you, Shelly! Yes, this is a party theme I’d even enjoy at my age! This looks like such a fun party, and it would work well for any age group. 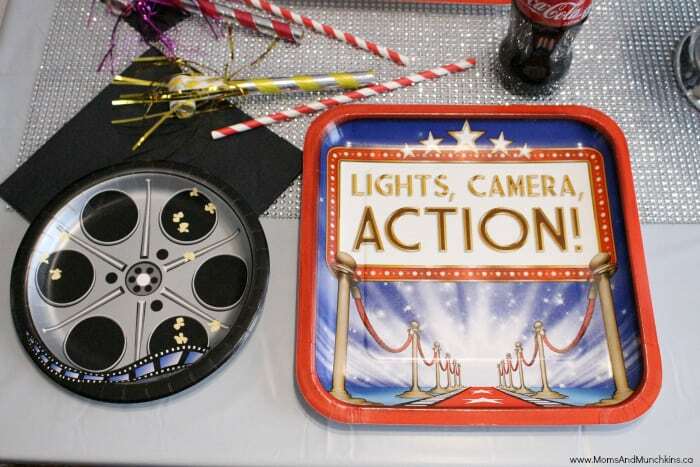 Very fun decorations and ideas. Wow! This little shindig looks so fun! You did a beautiful job with decorating too! 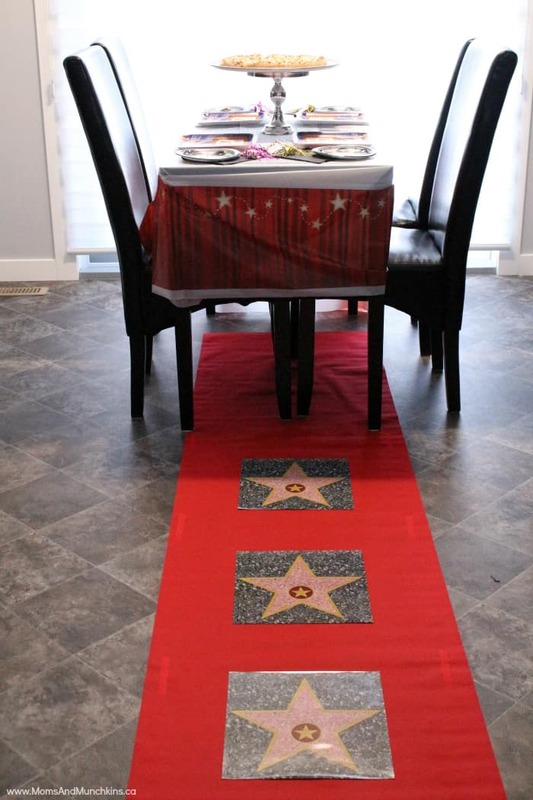 My favorite is the Red Carpet. Wow! 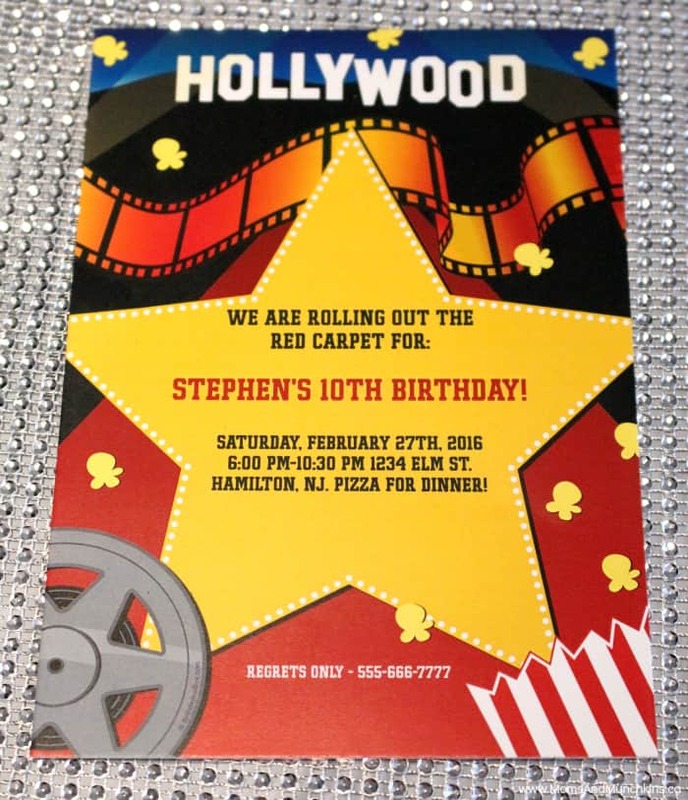 Great party theme. I especially like that this could work for any age group and both boys and girls. Thank you, Karen! Yes, so many ways to make this party work for all ages too! So cute! 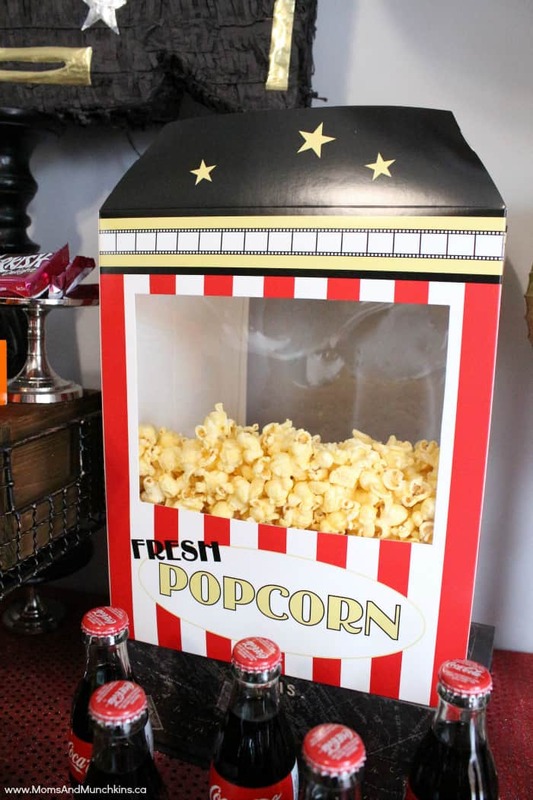 I’m actually doing this next week, where did you find the huge fresh popcorn box? Hi Tresha! That’s from Birthday In A Box – you can find it online in their store.